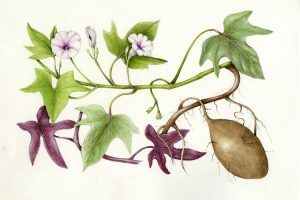 The sweet potato (Ipomoea batatas) is a species that is part of the Convolvulaceae family and which is related to the field bindweed. This plant originated from South America, where is was planted by the indigenous population. 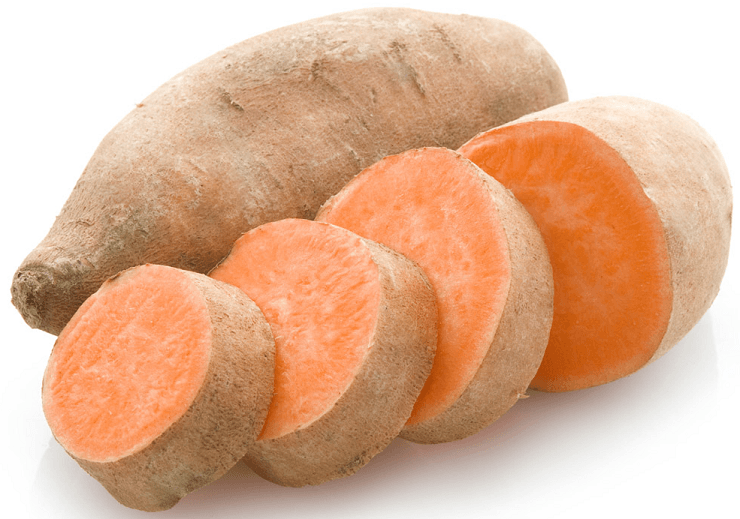 Nowadays, the sweet potato is cultivated in Asia, America and Russia, the bigger sweet potato producer is China. In South-Eastern Europe the sweet potato is planted in few places. 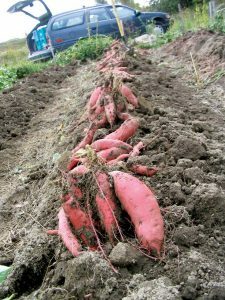 Several research institutes have conducted studies to figure out if the sweet potato can also be planted on sandy soils. The positive results have amazed the researchers, as the productions were great both in terms of quality and quantity. 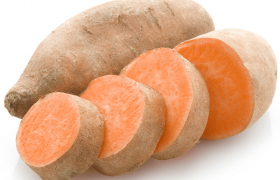 The sweet potatoes contain high quantities of carotene, fibers, mineral salts and vitamins. These are recommended in the diets of people suffering from diabetes, heart diseases, digestive problems. These also have a vitamizing effect and strengthen the immune system. The sweet potato is an annual species. Its roots system is well developed, but its roots are not very thick. This species will grow adventitious roots between the actual root system and the stem. These roots will grow, harden and this is how the edible plant part will grow. The sweet potato’s plant stem is very similar to the stems of other plants from the same species. It has many branches, its mechanic tissues are not well developed (not very creeping). The leaves are simple, placed on both sides and with an oval shape. The flowers are big, their color is a white-violet. This is a thermophile species, it loves the heat. During the vegetative period it prefers temperatures ranging from 18 to 28 degrees Celsius. If the temperatures drop below 1 degree Celsius, the plants will die. It grows well on soils where a constant humidity can be maintained, but it can also withstand short drought periods, which will affect the productivity. It develops very well under the direct sunlight and it needs around 10-12 hours of light per day. It can also withstand heavily textured soils, but it prefers clay soils and the ones that are rich in nutrients and not exposed to water stagnating phenomenon. This species can well exploit problematic soils such as the sandy or sticky ones. The parcel on which the sweet potato will be planted needs to be under direct sunlight and it must provide the needed species temperature requirements. The best predecessor crops for the sweet potatoes are: the grasses, grain cereals, clover, alfalfa, annual legumes, corn, plants from the Brassica oleracea species, flax, root vegetables, or bulb plants. After all vegetal residues of the previous crop have been removed from the parcel, plough it using the rotary cultivator as it will destroy the weeds and vegetal residues, and then fertilize the parcel using 20-30 tons or organic compost. Plough the soil right after this, at a 28-30-cm depth. 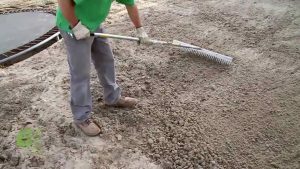 If the soil is compact or heavy, the scarifying operation can also be performed (pressing the soil will significantly decrease the production). After ploughing and scarifying, the soil needs to be levelled. This process will positively influence the quality of the future maintenance procedures (planting, applying herbicides, etc). During spring, the parcel can have herbicides applied using Dual Gold, Taifun or Roundup. Preparing the soil for planting needs to be done at a 14-18-cm depth, using the cultivator. Around 10 days before planting, the soil needs to be arranged in heightened layers. The heightened layers need to have the following dimensions: a 40-cm width and a 25-cm height. 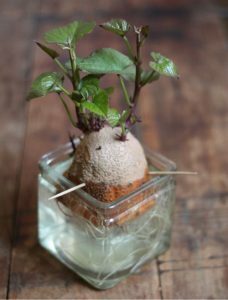 The sweet potato crop needs to be started by planting the seedlings (which already have roots). 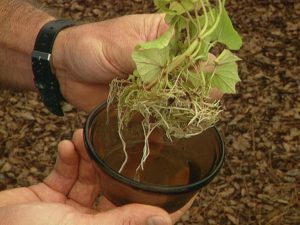 The roots will have to be procured and planted in a substrate or placed in water. Flower soil, manure, or well diced soil can be used. The following planting scheme can be used: a 30-35-cm distance between the rows and a 10-15-cm distance between the roots on each row. After around 14-21 days the sprouts will emerge. Once these are 10-15-cm long, put the seedlings to grow further in a substrate. The same substrate, as the ones used in forcing the roots to grow, can be used, or water. When planting sprouts, the following scheme will have to be followed: 5-7-cm between the rows and a 6-cm distance between the plants on each row. The following procedure will have to be to strengthen the seedlings. When the outdoor temperature allows it, air the sheltered spaces or place the seedlings outdoors. Growing the seedlings needs to be done 2 months prior to planting them. The proper planting period starts from the second half of May onwards and it can be prolonged until mid-June. The planting process needs to be manually performed, on the heightened layers, maintaining a distance of 35-40-cm between the plants on each layer. The seedlings must be inserted into the soil making sure that 8-10-cm of their length will be inside. Before planting, the roots of the planting materials must be introduced into a mixture of soil and water. This mixture must have the consistency of sour-cream. After planting, the plants need to be watered with 1l of water, each. This can be mechanically done in 2-3 ploughs. We recommend superficially loosening the soil (5-6-cm) and maintaining the heightened layers. The adventitious roots must be periodically removed. Their emerge will negatively influence the production. This can be done either mechanically or chemically. The main herbicides used for the sweet potato crop are: Agil 100 EC, Fusilade Forte, Pantera 40 EC, Titus 25 DF, Dual Gold, Sencor 70 WG, Stomp Aqua, Surdone 70 WGD. To read information about the diseases and pests that can attack the sweet potato crop, as well as how these need to be prevented, please go to the relevant article. The sweet potato plant can withstand for short drought periods, but this will negatively influence the production. The crop must be irrigated if you want a high production rate. Depending on the climate conditions, the crop can be watered 4-6 times using 250-350 cubic meters of water per watering. Drip irrigation can also be used. The plant’s root system can well exploit the soil’s nutrient reserve and also the organic fertilizer that has been applied when preparing the parcel. During the vegetation period, fertilizer the crop (after 4 weeks from planting) using 50 kg of active potassium per hectare. The crop can also be fertilized using nitrogen, complex fertilizers, or leaf fertilizers. This procedure can be started during October. This is very similar to the potato harvesting procedure, as the soil needs to be displaced and the thickened roots that are visible need to be carefully removed. Once taken out of the soil, place the roots in small piles and let the piles rest and breathe outdoors. After being harvested, the sweet potatoes cannot be stored for a long period of time.